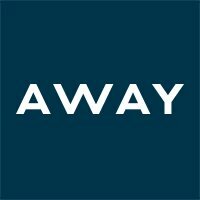 Away is seeking a Web Production Associate to help manage day-to-day site maintenance & product launches. This role will be working closely with the Web & Digital Product teams, along with internal cross-functional business owners to produce digital projects from the development phase to launch. The right candidate is a fast-paced & detail-oriented individual who is eager to learn & take on a wide array of responsibilities. This position is based out of headquarters in SoHo, New York City & reports to the Associate Manager of Web Production & sits on the Digital Product & Production team. Work as a member of the Web Production team to manage campaigns & product launches, from concept through development, delivery, launch, & post-launch optimization. Serve as a main point of contact for triaging bugs & escalating to the engineering team when necessary. Collaborate with internal business owners on projects that contribute to business objectives (including Creative, UX, Growth Marketing, CX, Engineering, etc.). Work with the creative team to define creative needs for the website & develop needed assets that meet brand guidelines (copy, photo, video, etc.). Work as a member of the Digital team to conceive initiatives that improve both individual & team efficiency. Be responsible for maintenance & overall quality of Aways website. You have 1-3 years of experience in an e-commerce environment. Prior startup experience highly preferred. You have experience with e-commerce platforms (Solidus, Magento, Shopify, etc.). Experience with QA process, including initiating, reviewing, & triaging bugs. You have experience with project management tools (JIRA, Asana, etc.). You can communicate effectively with both technical & non-technical stakeholders. You can work both independently & collaboratively in a team environment. You are a self-starter, & are willing to jump in & get the job done if necessary.